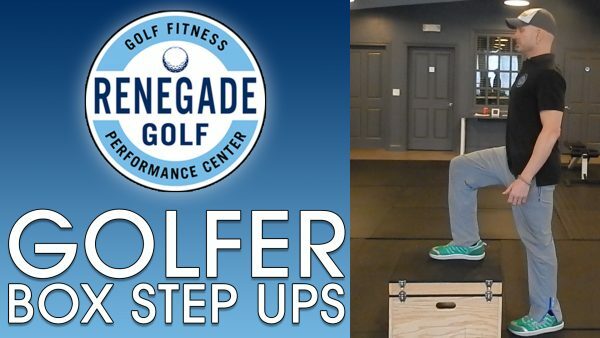 The Golfer Step Up exercise is an excellent way to develop strength and stability in your lower body. The beauty of this movement is that it is unilateral, meaning you are training only one side at a time. 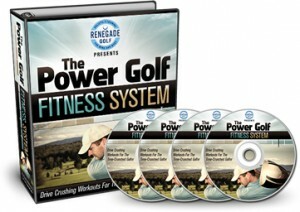 This is valuable because it can assist in correcting strength imbalances between your right and left sides. 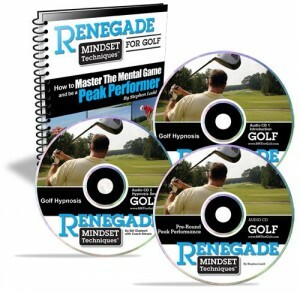 The Golfer Step Up is basically a one-legged squat, as you can see from the image above. It is imperative that you focus on the working leg, which is the one with the foot on the box. It will be quite tempting (and even unconscious) to use the other leg to push off the floor – don’t do it! An effective trick to prevent this is to pick the toes up slightly on the non-working foot. This will make it almost impossible to drive off the floor. Note: As always, you will need to make adjustments if you experience knee pain. Often times, using a lower box will solve this problem. Also, be aware of your knee tracking. Your kneecap should be aligned above your second toe. If knee deviates inward during this movement it’ll cause undue stress on your joint. As for programming , I recommend 2-4 sets of 8-12 reps. After mastering the form with bodyweight, you can load with dumbbells in each hand, or a kettlebell in the goblet position (held to the chest). Also be aware that you can use a taller box, which essentially deepens the single leg squat aspect of the golfer step up. 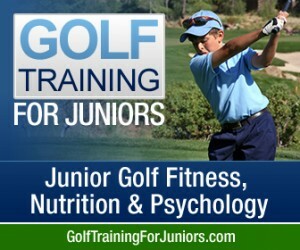 If you have any questions about how to best utilize this exercise in your golf fitness routine, please post a comment below.